Erected by John Miller of Forse in memory of his beloved children. Mary Elizabeth Sheppard died 1st November 1869 aged 2. 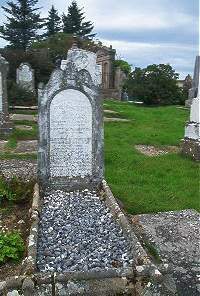 Brother John George died 9th November 1869 in infancy. Brother John died 31st May 1876 in infancy. Sister Elizabeth Hannah Miller (Lizzie) died 31st May 1890 aged 19. Above John Miller died 7th April 1922 aged 82.